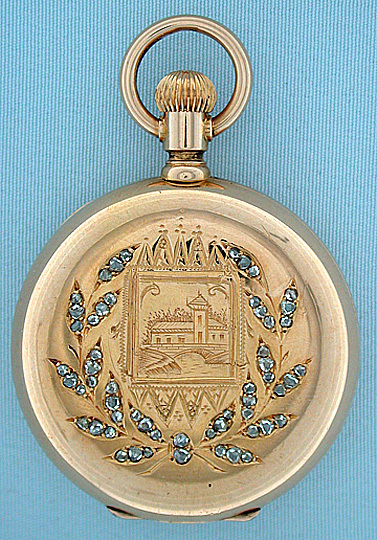 Fine unsigned Vacheron & Constanin 18K gold engraved and diamond hunting case antique ladies pendant watch circa 1906. The cover with an engraved scene surrounded by a 57 diamond wreath; the plain polish back with a few very small dings. 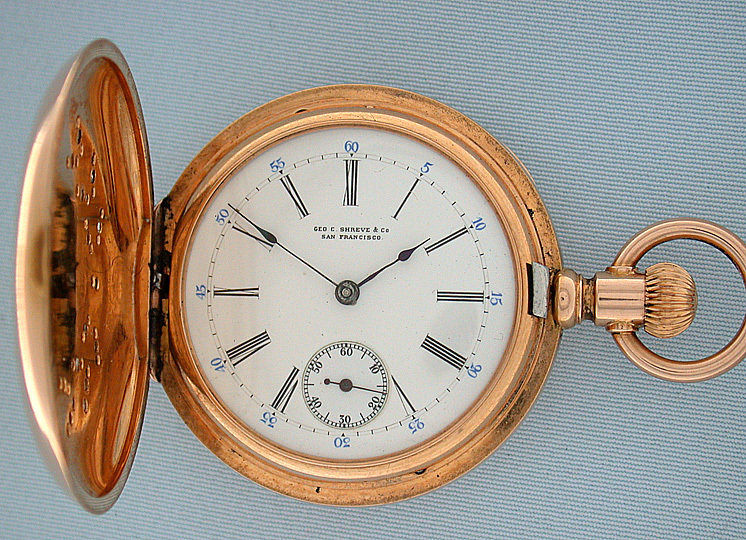 Good white enamel dial with blued steel hands. 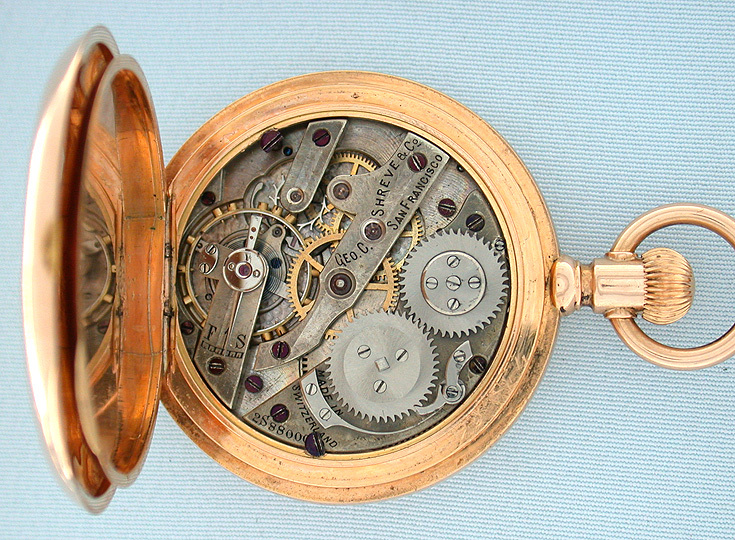 Nickel 20 jewel lever movement with wolf's tooth winding.